Initiating change has not always been the easiest thing to accomplish throughout the years; however Beloit seems to exemplify the true meaning of change. Beloit is a city that has been built upon the banks of the Rock River and its industries on the backs of its workers. 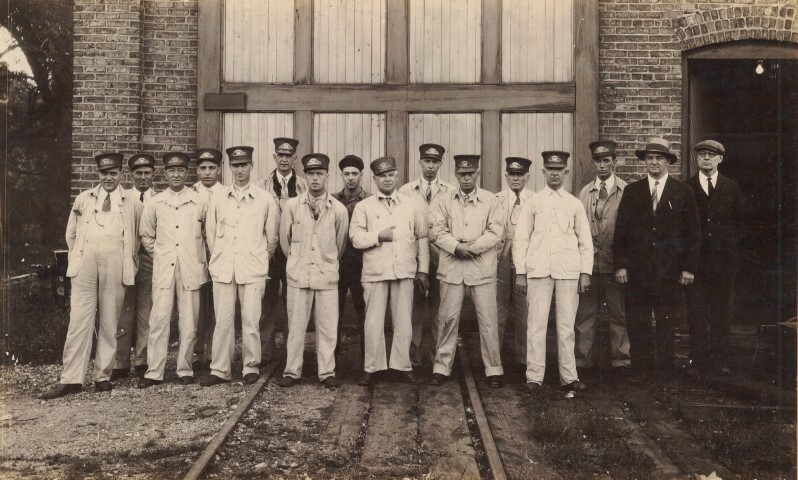 With the city’s rapid expansion there came a tremendous need for a connection between the industrial life and suburban life of its fellow patrons. An attempt for a connection was made when Rockford, Beloit & Janesville Railway sought a franchise to build an interurban line that would run through Beloit. With the offer made the city attempted to couple an agreement for local lines to be built along with the interurban lines. With great reluctance from the railway company, the city agreed to the original plan of only interurban lines in 1902. 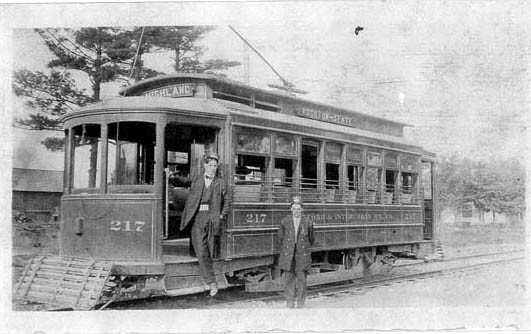 After only a few years, in 1906, streetcars were founded by the Beloit Traction Company. A local attorney led the Beloit Traction Company by the name of Joel B. Dow. Dow graduated from Beloit College in 1869 and began to take notice in the public eye. He was a free spirit and saw growth and betterment for Beloit through the building of a public transportation system. Through the help of Rockford & Interurban and locally raised funds the company began to take the rails by storm. A street car on East Grand Avenue in Beloit. With funding intact and new general manager by the name of Thomas M. Ellis, it was time to start voting on the system. On July 16, 1906 the company voted for a system of two loops that would connect the city by crossing the Rock River with passing tracks on Grand Avenue and Fourth Street. The track would be a total of six miles long connecting the East and West sides of the city. 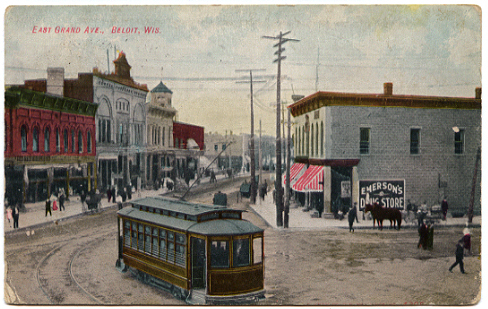 The East loop was completed on July 31, 1907 and on August 1, 1907 the first streetcar began service in Beloit. The first cars to run the track were actually on loan from the city of Rockford at the time, due to a delay in delivery. Only overhead wires that came directly from the Beloit Power Station located on Prairie Road powered these cars. On August 15, 1907, the West loop was open for business. With the completion of the West loop it serviced Fairbanks-Morse Industry, Beloit College, and other numerous industries. The street cars would only run one direction in the morning hours and the other way in the afternoon thus allowing them mainly to focus on the large amounts of traffic coming from the industries. With Beloit growing at such an extraordinary rate the company commissioned for the two more cars to be added to the fleet in 1909. These cars that were originally built in St. Louis would allow the company to service more than 1 million people in 1912 and 2 million in 1920. With the company having such a dramatic increase in volume it needed to supply more track to run on. A branch was soon added to the East Loop expanding up Wisconsin Avenue to Henry Avenue and an alternate of the West Loop expanding down 8th Street, west along Kenwood Avenue, and north on Moore Street back to Grand Avenue. Finally in 1928 the six-mile track had been fully completed and more than 90 percent of the population was within a 3-block radius. August 12, 1930 ~ Last run of the Beloit Street car with Tom Price. However all companies always seem to have some down fall and in 1930 the Beloit Traction Company began to see theirs. There had been a steady decline in the ridership with the invention of automobile and assembly line, leaving behind a large deficit. Also the people of Beloit became discontent with the noisy streetcars, deteriorating track, and interference with radio reception. The final blow to the streetcars took place when in the 1930’s the city commissioned for a street improvement program that would call for the removal and relaying of streetcar tracks. However, the city was reluctant to move forward with the work if the streetcars had no intention of remaining in service for the next few years. The general manager of Beloit traction attempted to convince shareholders to allow the integration of buses to the city. The shareholders refused to agree to the change in the system under any circumstances. With no hope of convincing shareholders to put money towards the introduction of buses, the general manager, went to Wisconsin, Power & Light to have them assume all rights. With an agreement met, the two companies converged having Beloit Traction Company cease to exist. The directors of Wisconsin, Power & Light decided to drive the streetcar system into the ground and divert repair funds to the purchase of buses. 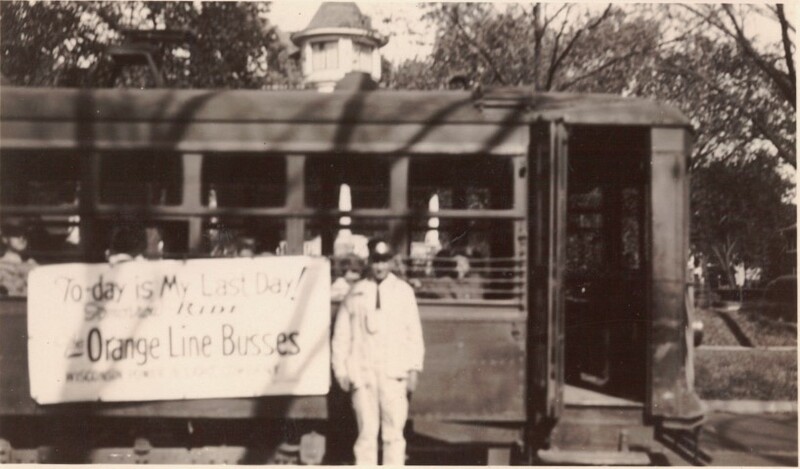 The last streetcars ran through the city of Beloit the evening of August 12, 1930. Wisconsin, Power & Light had learned the value of advertising and slogans and asked the employees to submit ideas of what a suitable nickname for the bus line would be. The employees decided on the name the Orange Line Buses, since the new buses had an orange stripe that wrapped around them. 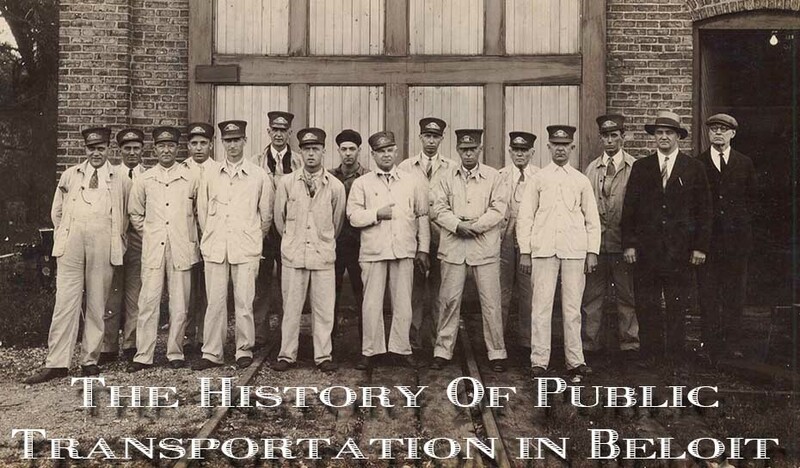 Then on August 13, 1930, eight type W Yellow Coaches began to run as public transportation for the city of Beloit. 1942 ~ Red, White and Blue Victory Buses run in Beloit. When the buses began in Beloit they would run two temporary routes know as the Loop Line. This line was the same route the street cars had been taking since 1907. This happened to be a little more efficient with the buses, allowing a 15 minute headway and 20 minutes when not peak hours. A few months later the temporary routes were replaced with two new lines that connected the east and west sides via Grand Avenue. Keeping the fares at ten cents they introduced tokens as six for fifty cents or a weekly pass for a dollar. In 1932, Wisconsin, Power & Light placed the Beloit’s bus garage at Shirland Avenue & Mill Street. 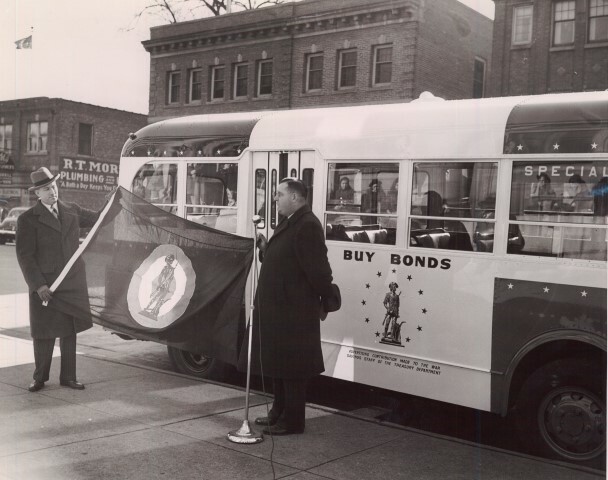 1942 ~ Buy Bonds and Support the War Effort! 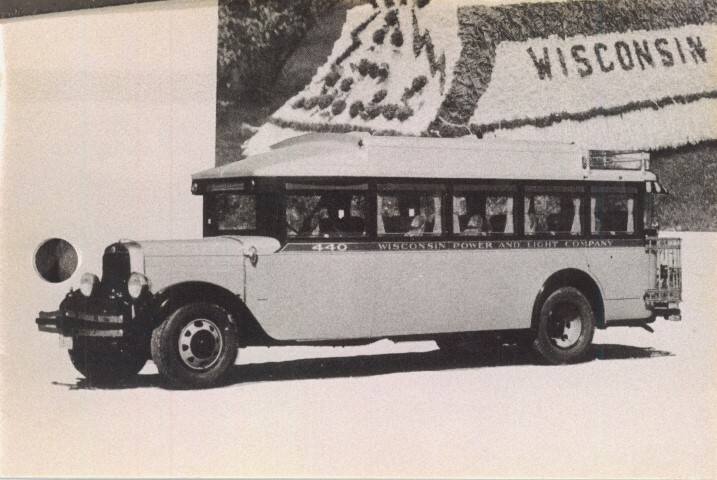 The Orange Line ran smoothly for many years and in 1944 Wisconsin Power & Light decided to sell its transportation properties. Upon hearing the news Vice President of Wisconsin, Power & Light, Arthur Gale, resigned. With his resignation he decided to purchase the Beloit and Janesville transportation operations. Gale ended up holding onto the Janesville property for a few months then sold it to Charles Anther. By 1946, Beloit had a total of 17 buses operating. In 1947 they had moved up to 25 buses with three routes instead of two. The three routes were named Red, Green, and Blue. 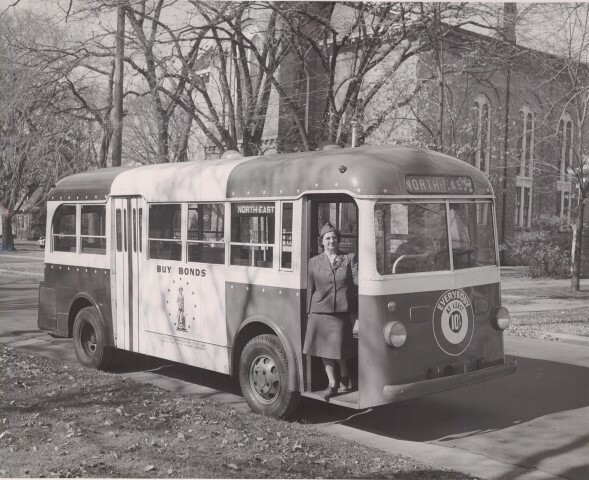 The Beloit Bus Co. began to see continuous losses in revenue from 1952 and on. They soon began to cut afternoon services, mainly due to a large number of people using transportation for work purposes. The service ended up stopping for a couple of months with it finally ending in bankruptcy. With high hopes the company was reorganized under the name Beloit City Bus Lines. The company was started by Ervin Jelinek, owner of Jelco Buses Inc. Local operating rights were give to the bus company and along with this came the old Beloit Bus Co. garage. By 1960 the fare had increased to 25 cents or five tokens for a dollar. Then in 1961 the city began to initiate a $12,000 annual subsidy to the company. The bus line ended up having to remove their third route in the same year. The city continued to increase the subsidy as years went by with no improvements in ridership. By the year 1969 the patronage had dwindled to only 160,000. Showing no improvements in ridership the city had to look for a new alternative. The idea came to poll the community and find out if it was necessary to provide a city bus service. The public had made a decision to keep the bus system running and it was time for the city to take charge. With an agreement reached the city put out a public notice for all interested parties to submit proposals for providing bus services. The city received only one proposal from the Manitowoc Motor Coach and agreed to the terms. On May 14, 1970 the bus services transfer from Beloit City Bus Lines to Beloit Motor Coach. In 1971 the Beloit school district signed a contract with the bus company for 3 years of service. Later that year the city found that Manitowoc Motor Coach had been breaking contract and needed to be removed. On April 1, 1972 the city of Beloit received the certificate to run Beloit Motor Coach. With the Beloit motor Coach being dissolved into the city it is changed to Beloit Transit system and receives a new logo design to accompany the name. With the completion of a new name and logo in 1976 the city begins to spread its services by offering routes to South Beloit in 1977. The next year the city sees a jump in patronage by having almost 310,000 people board the bus. Carrying on steadily for the next couple of years the city decides to sell its garage on Fourth Street and moves to their new permanent location in the I-90 industrial park that was completed in 1995. With the Beloit Transit System standing strong it continues to serve the residents of the greater Beloit area while offering multiple routes and options. All services, routes and accommodations on Beloit Transit System (BTS) are offered without regard to race, color or national origin, in accordance with Title VI of the Civil Rights Act of 1964. If you feel you have been discriminated against on the basis of race, color or national origin in the services offered by BTS, you have the right to submit a complaint to the BTS management and/or Federal Transit Administration. For more information call Beloit Transit at (608) 364-2870. Saturday 9:00 a.m. to 3:35 p.m.